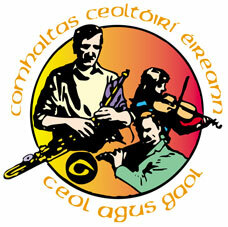 Wexford Comhaltas take to The Bullring on Sat 11th August (1.30-3.30pm) for a one-off pop-up gig. Craobh Loch Garman has been packing them in at sessions over the Summer both at The Sky & The Ground and the Irish National Heritage Park. The branch is blessed with an array of talent with some of the younger musicians, in particular, impressing in recent shows. The show at The Bullring will feature a good number of the latter. The organiser of the event is traditional singing maestro Paddy Berry. He says that the high-octane show will set pulses racing and that one should not hold back if the urge to dance takes hold! He is particularly looking forward to the duelling banjos, the face-off between bag pipes and uilleann pipes and a percussive call to arms from the massed ranks of bodhráns. Paddy says that the show is all part of the effort to successfully secure Fleadh Cheoil na hÉireann 2020 for Wexford. Wexford Town's top live music hostelry, The Sky & The Ground, plays host to the next of its Comhaltas's Summer Seisiúns on Tuesday, July 31 (9.30pm). The weekly sessions have been drawing great audiences and the feedback has been hugely positive. The focus is on showcasing the very best of local talent, be it traditional music / singing, storytelling or Irish dancing. Each week a number of special guests join the house band. Adm €5. Final session: Aug 7. New trad/folk group Green Road have been getting rave reviews for their Summer residency at Wexford Arts Centre on Wednesday evenings (8pm). The group, led by lead vocalist PJ Sinnott, features uilleann pipes, low whistles, harmonica, mandolin, banjos (tenor and 5 string), bodhrán, guitars and whistling by a multiple All-Ireland winner. Adm €12/7. Dates: Aug 1, 15, 22. The last of Craobh Loch Garman's Summer sessions at the Irish National Heritage Park, Ferrycarrig takes place on Wed, Aug 22 (7.30pm). FREE! In the spectacular setting of An Fulacht Fiadh Restaurant lovers of traditional music, singing and dancing can look forward to an evening of lively entertainment provided by Craobh Loch Garman. There is a big focus on younger performers at this session with a number of invited guests added to the mix.